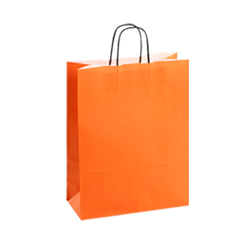 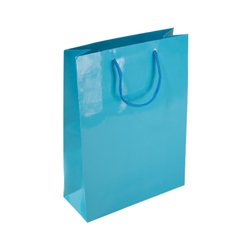 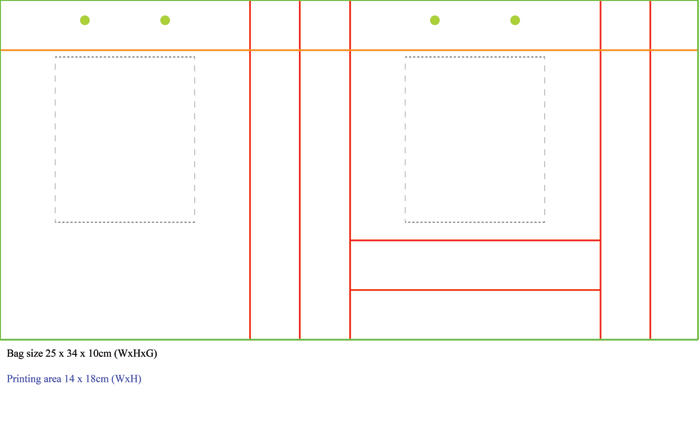 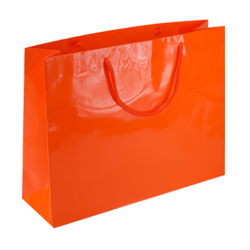 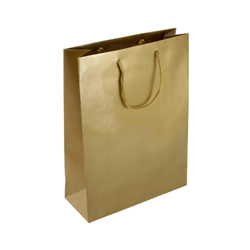 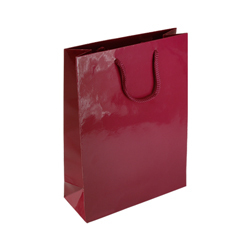 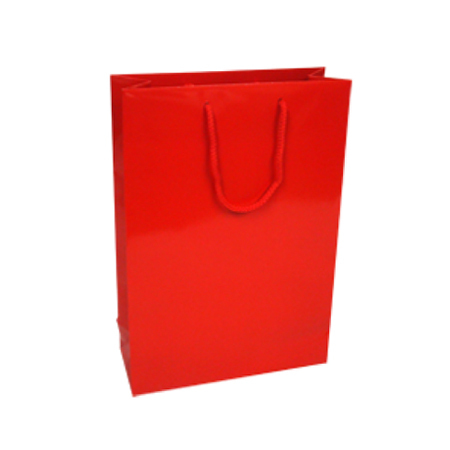 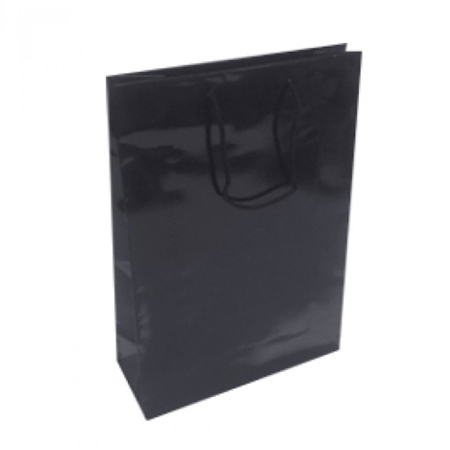 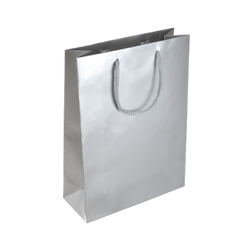 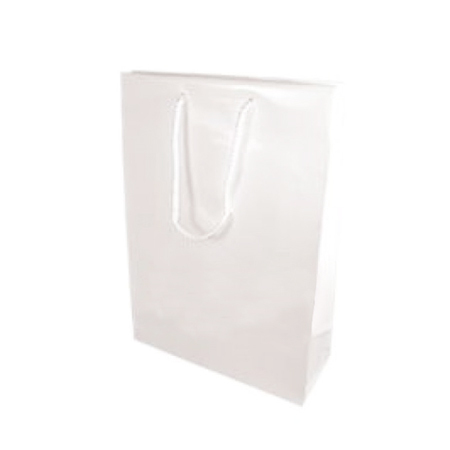 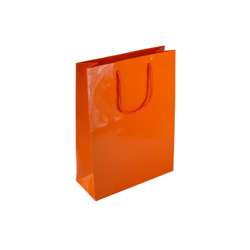 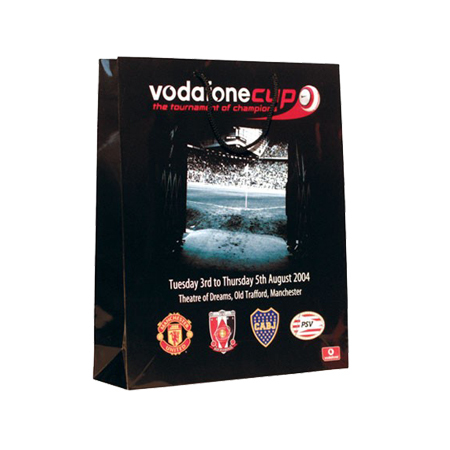 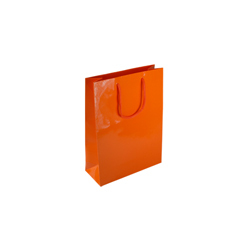 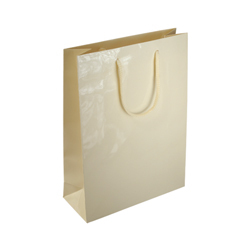 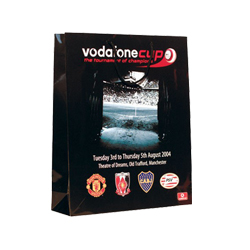 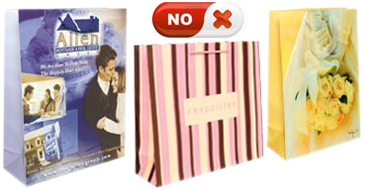 The colour of the medium (25 x 34 x 10 cm) gloss laminated rope handle paper bags are the best on the market! It’s a bold statement to make but totally true. 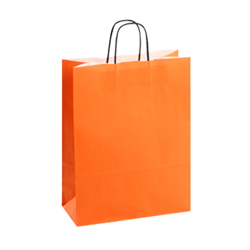 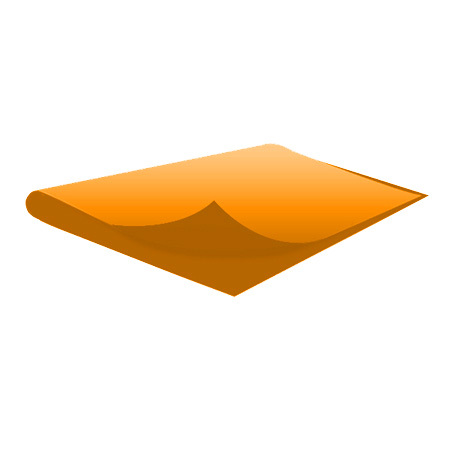 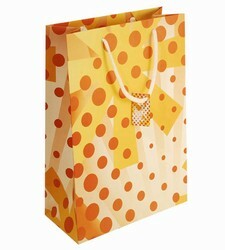 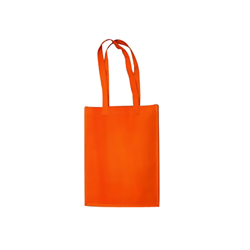 The orange colour utterly glitters in the sunlight with all types of colourful printed insignia added on the outside of your choice paper bag. 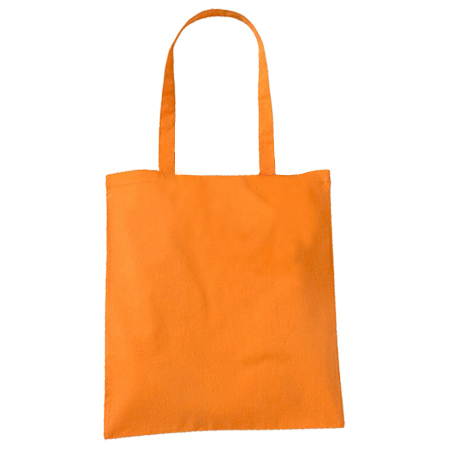 They are extremely strong! Another bold thing to say and yet the rope handles, cardboard reinforcement and lamination all render support. 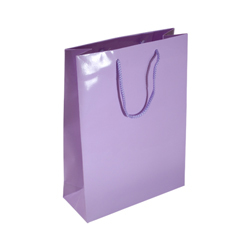 The whole frame is compact and waterproof due to lamination, yet extremely light, elegant and easy to carry.